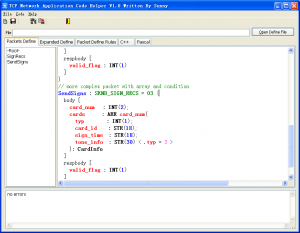 TCP Net Application Code Helper is a tools that simply the TCP Application programming. 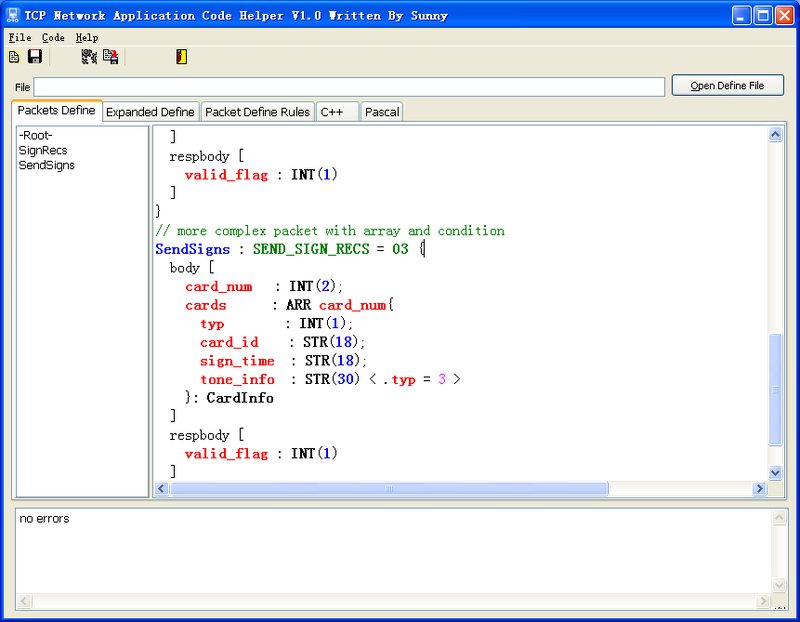 With this simple IDE, can easy check packet define Errors and preview the generated source code. such a dynamic string length stored in another field. with these feature, can determine a field to appear in packet data depend on another field value. for example if a status field value great 0 then a error message field will appear in the packet data. the generated class source can do packet depack raw bytes that received from sockets and pack data to raw bytes so can send to sockets. the generated application source implement the connection create, destroy.